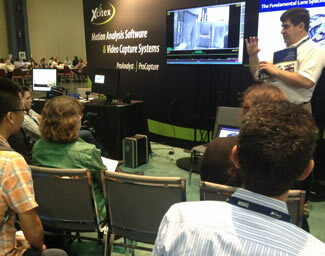 The Xcitex team was very busy at this year's SICB Annual Meeting, held in early January in West Palm Beach, Florida. We hosted an interactive hands-on workshop, Fundamentals of Video Capture and Motion Analysis, featuring our ProCapture video capture system and ProAnalyst motion analysis software. Also at SICB, we launched our ongoing lecture series: Video 101 – Tips and Technologies for Video Capture and Analysis and presented the first two sessions. 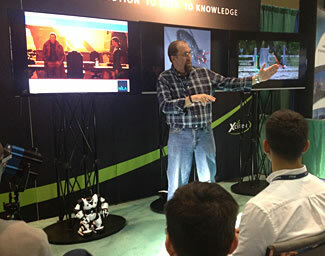 In the first lecture, Choosing the Best Lighting for your Videos, Nila Lighting CEO Jim Sanfilippo instructed the audience and answered questions on lighting techniques for high-speed video. In the second Video 101 lecture, Choosing Appropriate Lenses for your Videos, Xcitex's Peter Carellas discussed lens selection and settings to help our biological users achieve optimal results when capturing videos for their research. With over 2000 engaged and enthusiastic attendees, this conference was the perfect way to kick off a great new year at Xcitex. We are already looking forward to SICB 2016!